Aug 18, 2011 Update: this offer has expired and the books are not available anymore. This has been picked up by a few blogs recently. It is such a good offer, I thought I would get the word out also. 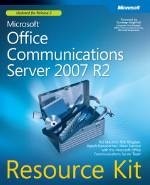 I can vouch for the OCS 2007 R2 Resource Kit being an excellent resource, and for a limited time you can get a free digital copy of it and “Programming for Unified Communications” from Microsoft Press. 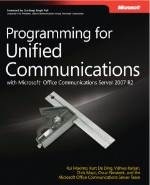 Click the appropriate book below to link to the MS Press site where you can register and get your free E-Book. Sorry, the offer has expired now.